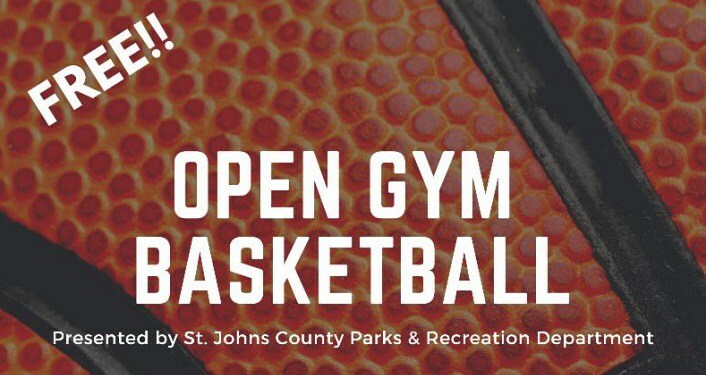 Dribble and dunk your way to Open Gym Basketball on Mondays, Tuesdays, Thursdays, and Fridays now through May 23, 2019. This free event is presented by the St. Johns County Parks & Recreation Department. Times: Adults -- 10:00am-12:00pm Students -- 3:00pm- 5:00pm For more information, contact Ashley Brown at 904-209-0379 or abrown@sjcfl.us.